Date: 13.03.2018 | Dance, Disco, Reggae, RnB, Pop, Rap | Tags: NOW Thats What I Call, Sony Music, NOW, Virgin Music Group, Warner Music, Marshmello, Jason Derulo, Sigrid, Calum Scott, Khalid, Not3s, Calvin Harris | Download NOW Thats What I Call Music! 99 (2018) for free. The 100th edition of Now That’s What I Call Music! is just around the corner, but first, the tracklisting of the next massive instalment has been unveiled. 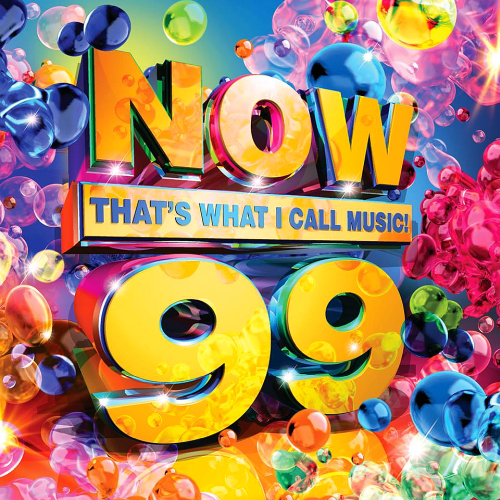 Now 99, released on March, features 18 UK Top 10 singles, plus a further 27 songs of the moment in true Now fashion. Mabel and Not3s appear twice apiece on their collaborations together My Lover and Fine Line, while Paloma Faith also takes two slots on the tracklisting with her single Guilty, and her feature on Sigalas Lullaby. In total, 34 UK Top 40 singles make the cut, including chart favourites from Portugal. The Man, Anne-Marie, and Stormzy. Huge top flight hits from the likes of Dua Lipa, Bruno Mars and Camila Cabello are featured, while the latest songs from music royalty such as Kylie Minogue, Justin Timberlake and P!nk also make an appearance.